Gospel by JD Greear. This book has been on my reading list for a while. I decided to go ahead and read it in preparation for a teaching series I was doing with my students on the gospel. What I found was not only a helpful book for shaping and writing that series, but a book that challenged me personally and helped me go deeper in my love and understanding of the gospel. Greear says, “The gospel is the announcement that God has reconciled us to Himself by sending His Son Jesus to die as a substitute for our sins, and that all who repent and believe have eternal life in Him. I want you to see the gospel not only as a means by which you get into heaven, but as the driving force behind every single moment of your life” (page 5). 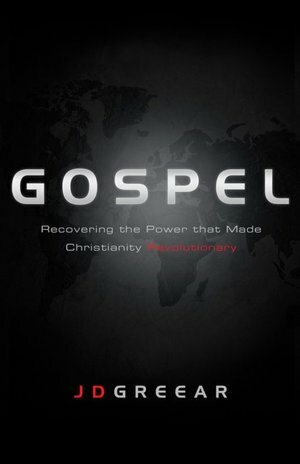 This books helps Christians understand that the gospel is everything. “The gospel is not merely the diving board off which you jumped into the pool of Christianity,” says Greear, “the gospel is the pool itself” (page 248). The book is centered around what Geear calls “The Gospel Prayer.” It’s a tool Geear says helps him saturate himself in the gospel. He spends the majority of the book walking the reader through that prayer and helping them understand the implications of the gospel on their life. I really enjoyed chapter 8, which was on generosity. Geear does an excellent job at explaining what the relationship should be like between a gospel-centered believer and money. It was both a challenging and refreshing chapter to read. I’ve always enjoyed Greear books and would recommend this one to everyone who wants to go deeper in their love and understanding of the gospel. 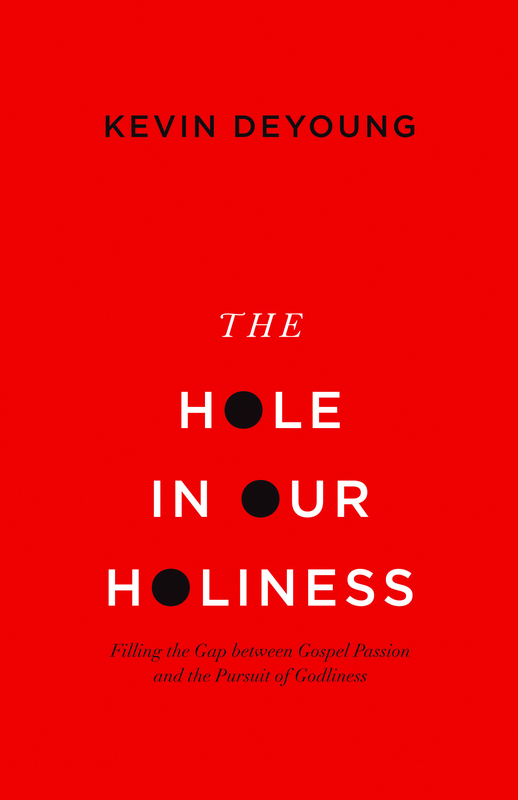 The Hole in Our Holiness by Kevin DeYoung. I read my first book by DeYoung not long ago so I was excited to grab a copy of this book and give it a read. I also really enjoy reading, discussing, and studying the topic of personal holiness in the Christian life, which is what this book is about. DeYoung spends the first chapter of this book surveying the landscape of holiness within Christianity today. He states there is a “gap between our love for the gospel and our love for godliness” (page 21). At first, I wasn’t sure if I agreed with DeYoung or not. But the deeper I got into this book the more I saw what he was pointing to. An intentional, disciplined pursuit of holiness is not a major theme in Christianity today. I have even seen this tread in my own Christian life at times. In this book, DeYoung urges the Christian to pursue holiness and make it a priority in their life. DeYoung keeps the gospel and Biblical teaching at the center of this encouragement. This was a short, easy to read book and God used it to help give me a better understanding of my relationship with holiness as a Christian. 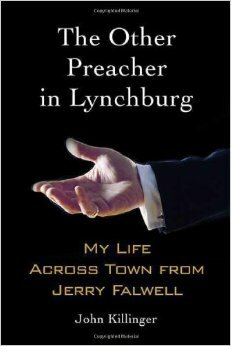 The Other Preacher in Lynchburg by John Killinger. I have always been fascinated with reading and researching the life and ministry of Jerry Falwell Sr. Even though I don’t agree with all the things he did, I have great respect for his love for God and his boldness to do great things for God while he was on this earth. His legacy can been clearly seen in Liberty University and Thomas Road Baptist Church, both located in Lynchburg, VA. I ran across this book a few years ago on amazon and just now got around to reading it. I was excited to read a book about Falwell and his endeavors in Lynchburg through the eyes of another pastor that was in town during Fallwell’s prime. If you do any research on Killinger, you will quickly find him and Falwell were on very different sides of major issues regarding Christianity. However, this book isn’t necessarily focused on the theological differences of Killinger and Falwell, even though that obviously came up a few times, but more on what it was like for Killinger as a pastor doing ministry in the same town as Falwell. The book covers Killinger’s time both in Lynchburg and his time after moving away from Lynchburg to take another ministry position in Los Angles. This was very interesting book that made me appreciate Falwell even more, but at the same time scratch my head and wonder why he did some of the things he did.